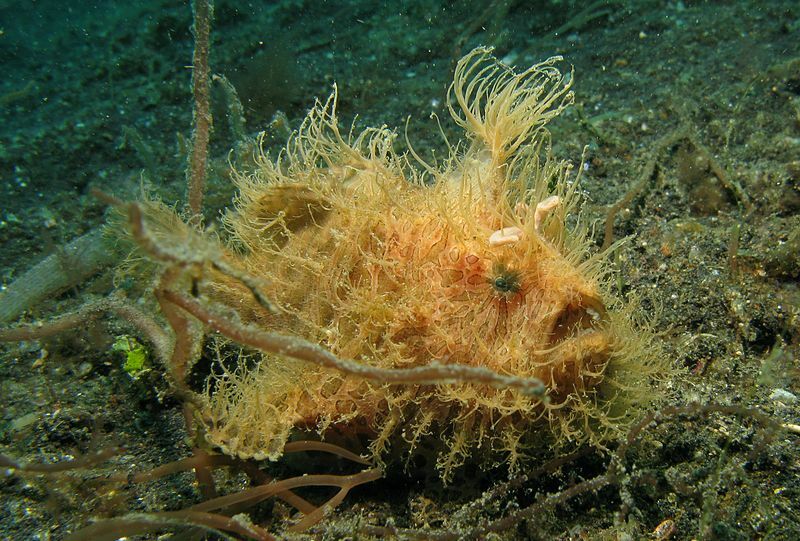 While the frogfish has a unique swim technique, they aren’t a species that spends too much time moving around. These fish will do precise strokes of their tail fin when they are looking to move through the water and swim. To increase the speed they reach, this fish will begin to force their breath water out through their gills that are behind the pelvic fins, giving them a decent amount of speed. 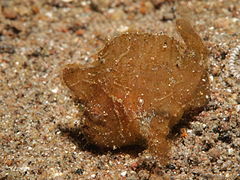 One species of the frog fish, the sargassum has adapted to the waters it lives in. Their fins have the ability to crawl through the large amounts of seaweed in the water, which allows them to move quickly after prey and to avoid potential dangers in the water. While they do have a unique swim technique, the frog fish doesn’t swim too often. Partially because they lack a swim bladder, these fish are commonly seen galloping and walking on their fins along the floors of the ocean. Using their pelvic and pectoral fins, they are able to propel themselves walking towards the prey that they are focused on. They can also move their pectoral fins at the same time back and forth and place their weight on the pelvic fins to project themselves forward. It is estimated that there are between 48 and 53 different species of this ocean life form in the water. The problem with classification is these fish can master the art of camouflage, so the actual number is currently unknown. With warts, protective fish skin and other variances many of these species look incredibly similar. They can be found in colored shades of black, tan, yellow, orange and red. With the ability to swallow fish and crabs twice its size, the frog fish will adjust its technique to fit the prey that is around it. With the angler it has on its head resembles a small piece of prey that attracts smaller fish. Once a fish approaches and attempts to it eat, the frog fish pounces and consumes it. Hiding in rocks, this unique piece of ocean life will blend into the rocky surroundings, opening its mouth so that fish will swim right in for shelter and become a food source for the larger creature. 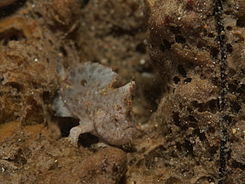 If there isn’t anything for the frog fish to actively consume, it will use its alternative swim technique to crawl across the floor of the ocean and stalk crabs and other creatures until it has had the chance to feed. There is no denying that this fascinating creature is one that has a swim technique, but also that can give so much insight into aquatic life. From the unique way it obtains prey and the breathtaking camouflage of its skin, the frog fish is one species that had become a marvel of the sea.